How unfortunate that’s how Xi’s words were rendered. Not for the first or fifth time, Xi’s meaning is being misconstrued--at least by people writing certain headlines. As noted earlier in an exchange on Twitter, what the headline says is flat-out wrong. The phrase in Chinese cited in the article—“要引导国际社会共同塑造更加公正合理的国际新秩序” actually means that Beijing should work to guide [要引], not lead in the sense of take command and dictate or dominate. The Chinese language is full of terms which connote lead in an assertive way (militarily, for example, as in 指挥). Neither accounts of Xi’s speech nor the commentary cited in the article includes such statements. 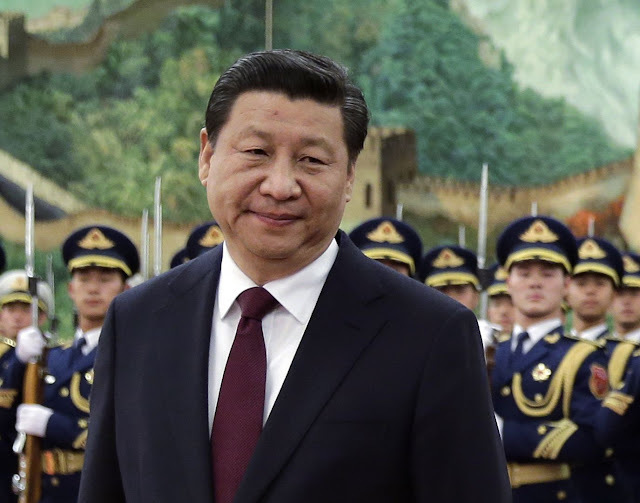 To the credit of the writer of the article itself, he uses “guides” in his translation of what Xi purportedly said when he discusses the actual statements, though the tone of the piece as a whole is rendered as Beijing looking to take advantage of the United States, seeking to reshape global affairs. Graham Webster of Yale University’s Paul Tsai China Law Center does a nice job (perhaps off the original exchanges on Twitter) noting that there’s nothing in Xi’s speech to suggest China wants to subvert or suddenly restructure the existing international order. There’s a lesson here. Nuance matters a great deal in official statements in China, and Chinese leaders (and officials generally) are nothing if not nuanced in the words they use. Words are actions in Chinese politics; cadres here at all levels read pronouncements with care and caution lest they stray from the established Party line. It does no one much good to hype what Xi and his comrades say (to be kind), simply to scare a readership or drive traffic to a website. The stakes are too high to be stupid. But back to the meaning of what Xi said, because what Xi seems to be doing here (it does no one any good to be categorical either) in his address is actually quite significant, even if it’s not world-changing in the ways that some are portraying it. Instead of re-subscribing to the dictum laid down by the late Chinese leader Deng Xiaoping that China should lay low until its capability was greater [韬光养晦,有所作为]—and the implication that Beijing should be careful about punching above its weight—Xi is signaling towards those here in China who’ve been arguing for a more assertive foreign policy that he’s leaning their way. For some (particularly in at least parts of the Chinese military), a more emphatic approach means projecting strategic power beyond simply Asia, and doing that unilaterally. There are certainly different opinions in China’s armed forces on all sorts of issues, and Xi seems to be finally moving towards supporting those who want a more robust military posture—so long as they acknowledge the Party’s preeminence in making such decisions. For others advising or making policy here, Xi’s words imply a China that will no longer free-ride on decisions made by other members of the G8 (for example, not opposing the invasion of Iraq but eager to criticize it afterwards, all the while reaping economic benefits from the war—transshipment fees collected on materials pausing at Chinese airports, oil price speculation). Xi expects that Beijing will be treated as a partner, instead of just another player; that China aspires to help mold the international order as it enters a new era. That was Xi at Davos and that’s Xi here. No one can know at this stage how all that will play out; where Xi will end up after Beijing seeks to possibly move into policy space that Washington had been occupying previously and runs into opposition here and abroad, as well as the usual obstacles associated with global matters. And the Chinese political culture isn’t about equality but hierarchy, so there will be expectations by some here that what China wants to have happens, deserves to occur or else. In Chinese politics, leaning towards a view doesn't mean deciding that view wins at the end of the day. At this point at least, with his recent speeches, Xi seems to be telegraphing to Chinese officials—and others who are listening and reading with some care—that he’s very willing to move beyond even his predecessor in throwing over Deng’s concept of China being comfortable just to be in the same room, and making sure that Beijing is not only at the table, but being served. Xi isn’t interested in setting the building ablaze, and so those alleging otherwise need to stop crying fire when the only smoke to be seen is what they themselves are spreading.